We did a lot of baking this week: muffins for the La Leche League meeting, bread for our house, a practice cake for Nora’s birthday. Some of it was good and some of it was a complete failure. This is the second time I’ve tried to bake bread that requires a sponge (from a reliable recipe source) and had batter that never developed enough gluten to shape. The first time, I just added more flour until it was a consistency I could work with; this time I tried to just go with the recipe and stick it out in hopes that something magical would happen. Unfortunately, no bread fairy appeared to fix the mess that was my attempted at bread. Considering it took close to 20 hours from start to finish, 10 cups of flour, and I was previously super confident about bread (have you seen some of the loaves I’ve been baking? ), to say I was disappointed would be a huge understatement. 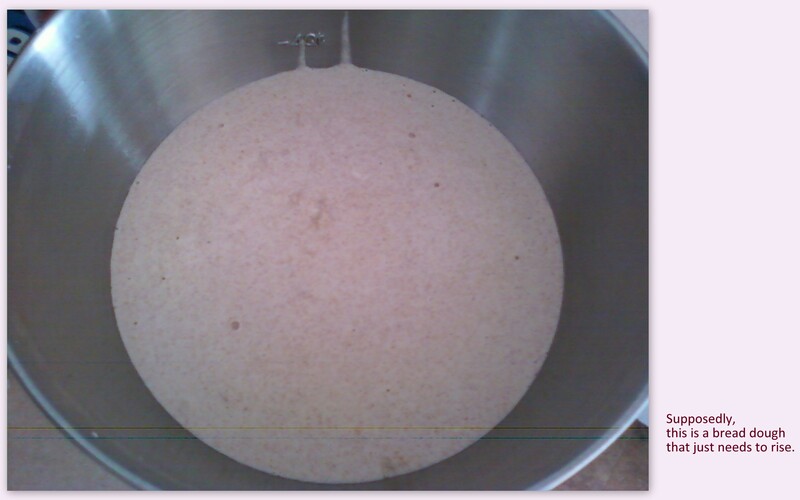 The worst part was in the afternoon when I’d hit the fourth “knead”-let-rise step and it was so clear that there was no change. Frustration doesn’t even cover it. I finally decided to split the dough in half and go with my gut with one half (add flour, add flour, add flour) and let the other half go. Half number one came up with an okay loaf, not pretty but edible, which I cut up and stuck in the freezer to put in the strata at Nora’s birthday brunch. Half number two failed miserably. I should have taken a picture to so you could see the ridiculous mess it was, but I was beyond photography at that point. Luckily, what did turn out well, turned out great. 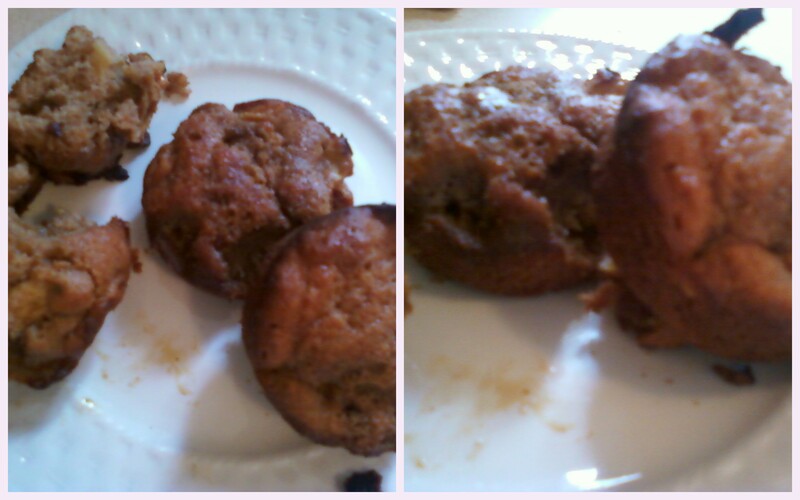 Like these perfect whole-wheat apple muffins, not done justice by my lack of a camera. Get the recipe here. 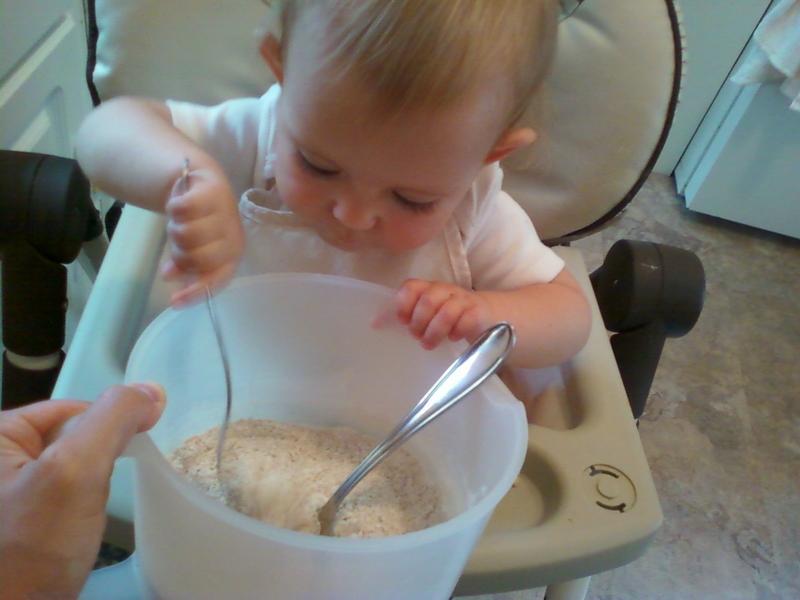 And this was also Nora’s first time helping me bake, which was lots of fun. 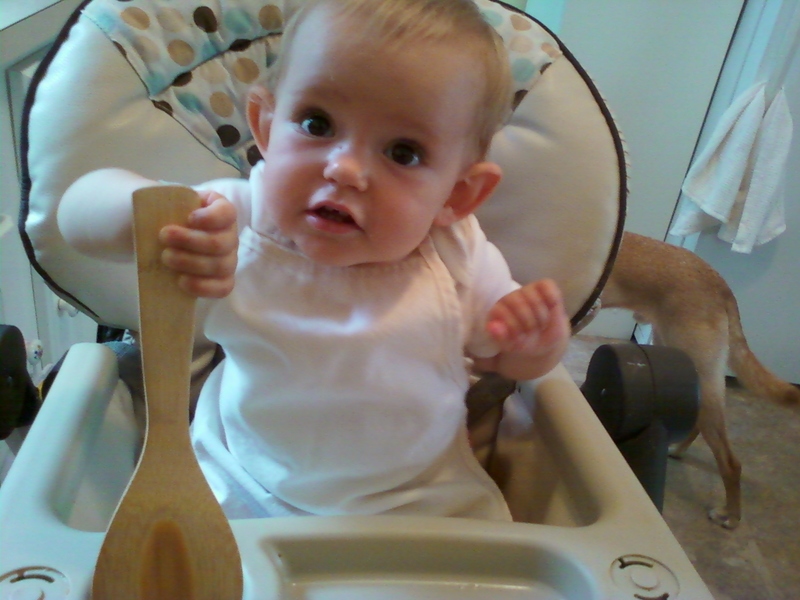 I pulled the high chair up to the counter, put a tiny toddler apron on her, gave her a spoon, and we got cooking. 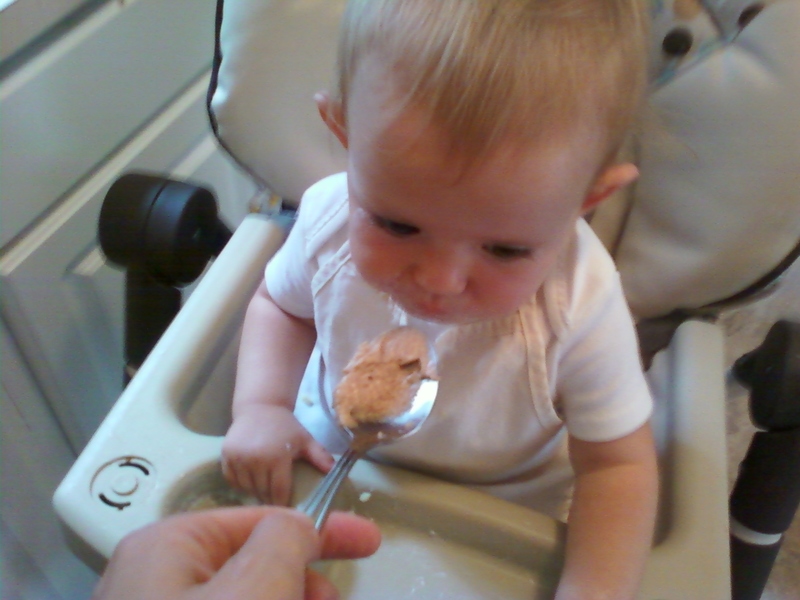 Mostly, she liked to help taste things. 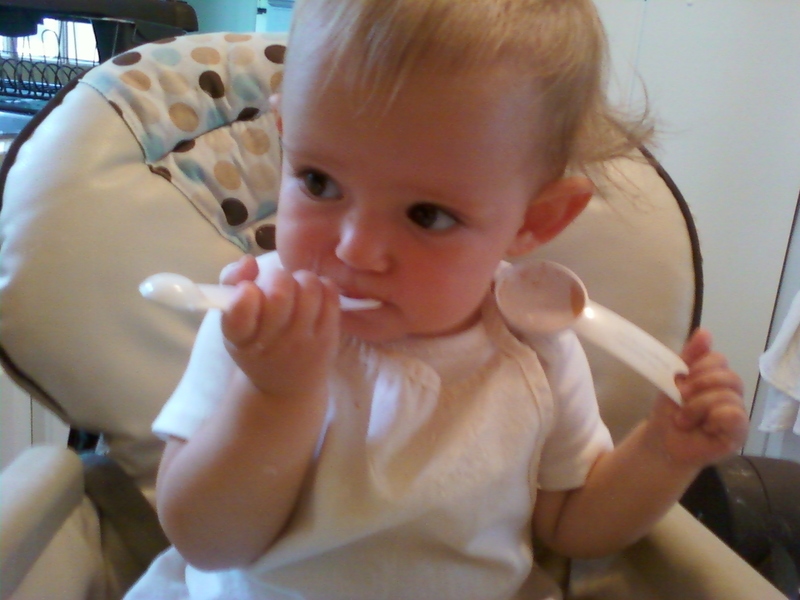 But she did a little stirring, too. And as a reward for all her hard work, she did get a tiny taste of the batter (we’re laughing in the face of food allergies, now). I had a lot of fun playing baker with my girl, even if mostly she watched and listened to my narration – it’s way better than baking alone. 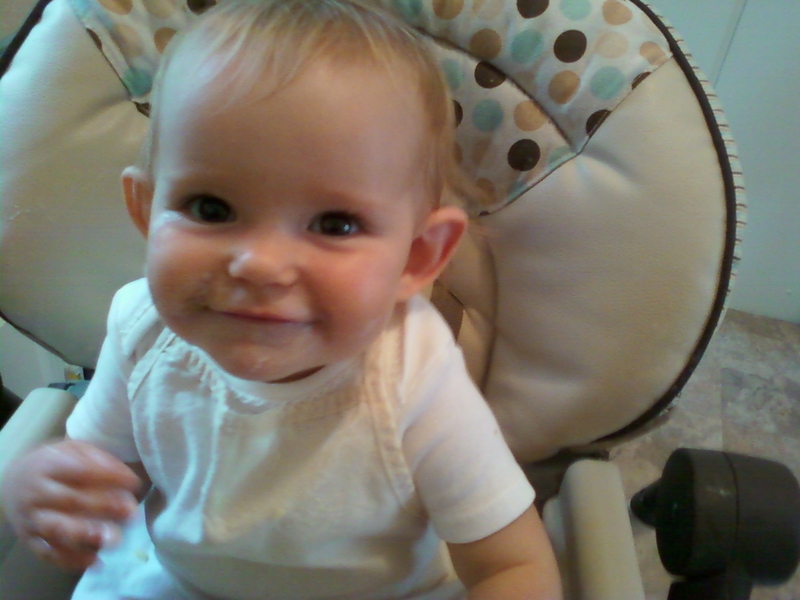 I can’t wait till next fall when she’ll be up at the counter really diving in. It’s late, but better than never; this is my You Capture: Kitchen post.